Birth, growth, maturity, decay, and death: these are the cycles we see around us, and these are our own reality. We too are part of nature, and it is our task to comply with the laws of nature and nature's God. This is submission, what we call Islam. It is not a sociological category of creedal belief that determines how we are to be classified nor a culture or civilization - although those elements are invariably there. It is a state of being. We were in that state so perfectly when we were children. We knew just what to do at each stage. Then, a strange event occurs - not so suddenly but over time. We begin to learn how not to be ourselves but to be what our society expects of us. We lose that state of submission to our true nature, which is servitude to our Lord, Cherisher, and Sustainer; we begin to transgress. We learn to lie; we learn to say the opposite of what we think, feel, or believe. This new state is not arrived at effortlessly but with much pain and sorrow. Our thoughts are troubled, our actions are heavy, and our states laden with cares that are not our own. 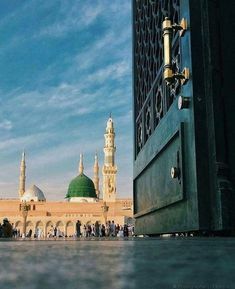 "If you truly believed, "said our Prophet, peace and blessings be upon him, "you would go out in the morning likes birds, hungry and return in the evening fled. "Effortless is the bird's movement towards its predetermined sustenance, and without anxiety it seeks it. The bird is in submission. The trees that provide the bird's home are in submission. The worm that becomes its dinner is in submission - each fulfilling its function, its purpose; each taking its place in the grand scheme of things. Only man is the odd one out, and we are the ones who suffer as we squander our energies on pursuits not suited to our souls, on desires not healthful for our natures, on thoughts not conducive to our salvation. Spring gently reminds those willing to listen: "Come back, come back, a thousand times come back. "Our Prophet said, "O Allah make the Quran the Spring of my heart." What a glorious request! If indeed the Quran was the Spring of our hearts, our hearts would be in bloom always with the freshness of nature's newness and nature's order: the green that cools our eyes, the fragrances that perfume our scent, the fruits that delight our taste and nurture our bodies, and the flowers that remind us of life's bounty and delicacy. Self-criticism literally means reckoning, settling accounts, and self-interrogation. In a spiritual context, however, it describes believers who constantly analyze their deeds and thoughts in the hope that correcting them will result in increased closeness to God. They thank God for what they have done, and seek His forgiveness through repentance and remorse. Self-criticism is the very important and serious attempt of asserting personal loyalty to God. It also may be described as seeking and discovering their inner and spiritual depth, and exerting the necessary spiritual and intellectual effort to acquire true human values and to develop the sentiments that encourage and nourish them. This is how they distinguish between what is good and bad, as well as what is beneficial and harmful, and maintain upright hearts. Furthermore, it enables believers to evaluate the present and prepare for the future. Engaging in self-criticism also enables believers to achieve a steady relationship with God, for this relationship depends on their ability to live a spiritual life and remain aware of what takes place in their inner world. Success preserves their celestial nature as true human beings and continually regenerates their inner senses and feelings. In Part 1 of this article, the author offered valuable thoughts for Muslim women, who are honored as mothers, sisters, wives, and daughters. In this part, he offers more precious thoughts, so that Muslim women can attain ultimate happiness in this world and in the hereafter. Praising Allah is a key to worship, the language of the dwellers of Paradise, and a way to be close to Almighty Allah. It also indicates being submissive to Allah in ease and hardship, and in both grace and affliction. Dhikr can be practiced by the tongue, mind, heart and all the bodily organs. In other words, we can thank our Lord by uttering sentences of praise and extolment, and by doing good deeds and acts of worship. Every dhikr is an act of thankfulness. Moreover, using Allah's graces to obey Him, and protecting oneself from committing sins are also among the best acts of dhikr and thankfulness to Allah the Exalted. Thus, a believing servant who remembers his Creator Allah while enjoying His blessings experiences happiness and bliss. On the other hand, when afflicted, a believer should remember Almighty Allah and thank Him so that He may bestow patience upon him, give him strength, make him more forbearing and help him to overcome the affliction. Dhikr and Hamd make one feel the bliss of Paradise. It is as if when one remembers Allah, one enters His Paradise, feels close to Him, and looks at Him, the Exalted. At such a time a taste of sweetness passes into the body and soul – a sign that the door to Allah's mercy is widely open before him or her. They do heal the soul, take away sadness and through them the Muslim earns Allah's good pleasure. Thus the goodness of your heart is the guarantee of your happiness in this world and in the hereafter. Likewise, its corruption is the surest way to destruction, the extent of which only Allah knows. [In this, behold, there is indeed a reminder for everyone whose heart is wide-awake — that is [everyone who] lends ear with a conscious mind] (Qaf 50:37). Every human has a heart. In reality though, they are two hearts. One is a heart that is alive and pulsating with the light of faith. It is filled with intense conviction and God-consciousness. The other is a dead heart, covered and diseased with every wreckage and rubbish. [Light upon light! God guides unto His light him that wills [to be guided]; and [to this end] God propounds parables unto men, since God [alone] has full knowledge of all things] (An-Nur 24:36). But isn’t pain a warning signal that something is wrong?” I asked. “With every difficulty there is ease…” came the verse from the Qur`an to me. My father seemed to sense my impatience. “The big ones didn’t get that way by snapping the first thing to hit the water,” he said quietly. “You’ll soon find that anything big and worthwhile usually takes a lot of time.” Patience is one of the most important qualities demanded of those who claim to love Allah, as the degree of patience determines those who are sincere in their claim and those who are not. The degree of patience needed to endure hardship and difficulties in order to please the Beloved proves the sincerity of one’s love. Many claim to love Allah, but when Allah tests them with hardship, they forget the true essence of love. No-one can adhere to the love of Allah except those who are patient and persevering (as-saabireen). If it were not for the test of hardship and sincerity, there would be no proof of the sincerity of a person’s love for Allah. The one whose love of Allah is greater, has a greater degree of patience. Therefore, Allah has attributed the quality of patience to His close friends (awliya) and most beloved. He said about His beloved slave Ayyub (AS): “... Truly We found him full of patience and constancy. How excellent in Our service! Ever did he turn (to Us)!” (Sad 38: 44) Allah instructed the most beloved to Him of everything He created to have patience in accepting His decree and told him that patience comes only by the help of Allah. He praised those who have patience and promised them the best of rewards: the rewards of others are defined and limited, but the reward of as-saabiruun is without measure. Patience is vital at all levels of Islam, iman and ihsan, as well as being a major element in iman (faith) and tawakkul (putting one’s trust in Allah). Patience for the sake of Allah, by the help of Allah, and in accepting the decree of Allah. 1. Patience for the sake of Allah, hoping for His rewards and fearing His punishment. 3. Patience in accepting the decree of Allah, as man realizes that Allah is the only one Who is controlling the affairs of the universe, so he will patiently accept the ruling and decree of Allah, regardless of what it may mean for him in the way of ease or hardship. To mankind the love of worldly appetites is painted in glowing colors: women and children, and heaped-up mounds of gold and silver, and horses with fine markings, and livestock and fertile farmland. All that is merely the enjoyment of the life of this world. The best homecoming is in the presence of Allah. The difficult times and the troubles they encounter also make people who are ignorant of Allah's religion unhappy because their happiness is entirely bound up with worldly profits and gains, which in times of difficulty are at risk of being lost. The loss of these things due to events completely beyond their grasp, plunges them into great sorrow because of their attachment to them. In this way they completely lose the happiness and joy which acquisitions can bring them. They inevitably sink into depression and hopelessness. As for the happiness of believers, it takes on a more lasting form because in times of trouble and difficulty they hold to the wisdom which is described in the Qur'an. Since believers always take into consideration what is pleasing to Allah and apply their intelligence and their consciences exclusively to the task of achieving it, they are never affected negatively by adverse circumstances, as disbelievers are affected. On the contrary, because they hope to gain Allah's good pleasure with sincere and submissive behavior in times of trouble, nothing can lessen their happiness even at such times. "Righteous deeds" (amelunsalihan) are one of the key concepts of the Qur'an. In Arabic, the word "righteousness" comprises the meanings of good, beneficial and right. In Arabic, the verb "to amend"(islah) is also derived from the same root. Consequently, in English, every type of beneficial and good work or action done for the good of religion is expressed by the word "righteous deed." In terms of the Qur'an, on the other hand, each act and all behaviour designed to seek the favour of God is a "righteous deed". The way a believer does righteous deeds proves his mettle. His deeds indicate his perseverance, stability, determination and loyalty-in other words the depth of his faith. In brief, what turns an act into a righteous deed is the intention behind it. If the intention is a righteous one, then the deed also becomes righteous, even if the desired result is not attained.However, this is not important; he shall still have his reward from God.Hence, the result of each deed always rests with God. Each task should be done solely to please Him. In brief, if a man does righteous deeds, it accrues to his personal benefit. Right action is surely the way to attain an eternal salvation. Are all of life’s hardships worth enduring? The answer depends on what our goal is in living. In fact, understanding life’s purpose is a slow and absorbing process. We sense its mystery while reflecting upon our existence and humanity. Therefore, our concept of life evolves gradually throughout our lives. The purpose of our creation is obvious: to reach our utmost goals of belief, knowledge, and spirituality; to reflect on the universe, humanity, and God, and thus prove our value as human beings. Fulfilling this ideal is possible only through systematic thinking and systematic behavior. Thought will provoke action, and thereby start a “prosperous cycle.” On its own, existence is the very bounty that leads us to a prosperous path of bounties. Given this, we should appreciate its value. Since we were created, as was a whole universe of bounties, we must use these gifts and benefit from them. To reach this goal, we must use our willpower, a voice heard by the All-Powerful One, and develop our abilities and skills to their furthest extent, thus proving ourselves to be willful beings. Our duty is to reflect upon our place in life, our responsibilities, and our relationship with this vast universe. We should use our inner thoughts to explore creation’s hidden side. As we do so, we will begin to feel a deeper sense of our selves, see things differently, witness that events are not what they seem, and realize that events are trying to communicate something to us. I believe that this should be life’s real purpose. We are the most important living creation in this universe. Given this, we should reflect upon and observe it so that we may realize and fulfill the purpose of our creation. Our duty is to hunt for insights and divine joys in our hearts and souls, for only this way of life can move us beyond the frustrating endeavors of a totally materialistic and painful life. Thus, a believer shows gratitude and thankfulness for all the wonderful blessings that Allah grants him. And he displays patience and submission during sickness and hardships, hunger, or other afflictions. Allah has decreed that, in this life, hardships and disasters strike both believers and non-believers. For a non-believer, they are inconveniences that hinder him from proceeding with his normal involvement in the worldly life. For a believer, on the other hand, they are instances of rest and remembrance, tests that promise great rewards, and indications of atonement and expiation of sins. Regardless of how little is the harm that strikes a believer, it carries with it good news of forgiveness and elevated rank in Paradise. The Righteous Predecessors used to be pleased when a hardship afflicted them, seeing it as a token of Allah’s forgiveness and benevolence. The difficult path of virtue is defined as the path of charity or unselfish love, and three specific instances are given for our understanding: (1) freeing the bondman, (2) feeding the orphan, and (3) feeding the indigent down in the dust. As regards the bondman, we are to understand not only a reference to legal slavery, which happily is extinct in all civilized lands, but many other kinds of slavery which flourish especially in advanced societies. There is political slavery, industrial slavery, and social slavery. There is the slavery of conventions, of ignorance, and or superstition. There is slavery to wealth or passions or power. The good man tries to liberate men and women from all kinds of slavery, often at great danger to himself. But he begins by first liberating himself. Allah's statement to man in Sura Al Inshiqaq is also supporting this fact, the Qur'an says: "Thou man! verily thou art ever toiling on towards thy Lord painfully toiling, - but thou shalt meet Him." This life is ever full of toil and misery, if looked at as empty of the Eternal Hope which Revelation gives us. Hence the literature of pessimism in poetry and philosophy, which thinking minds have poured forth in all ages, when that Hope was obscured to them. "Our sweetest songs are those that tell of saddest thought." "To each his suffering; all are men condemned alike to groan!" It is the noblest men that have to "Scorn delights and live laborious days" in this life. The good suffer on account of their very goodness: the evil on account of their Evil. But the balance will be set right in the end. There is no doubt that the path of virtue is not an easy one. But Allah encourages believers by giving hope of a better tomorrow. See the translation of some of the verses of the Holy Qur'an in this connection. 1. If the people of the towns had but believed and feared Allah, We should indeed have opened out to them (all kinds of) blessings from heaven and earth" (3:96). 2. A pious man is free of sorrow, fear and danger. "Those who are righteous and mend (their lives) on them shall be no fear nor shall they grieve" (7:35). 3. He is safe from the enemies, "But if ye are constant and do right, not the least harm their cunning will do to you? (3:120). 4. He will have Allah's company and help. "For Allah is with those who restrain themselves, and those who do good" (16:128). 5. A pious person is promised permitted sustenance and liberation from hardship "And for those who fear Allah, He (ever) prepares a way out" (LXV:2) "And He provides for him from (sources) he never could imagine" (LXV:3) "And for those who fear Allah, He will make their path easy" (LXV:4). 6. The lives of the pious people are successful in the Hereafter as they are chosen servants of Allah. "For Allah doth love the righteous" (9:7). 7. The deeds of pious persons only are acceptable to Allah. "Allah doth accept the sacrifices of those who are righteous" (5:30). 8. The pious will be honoured in the presence of Allah. "The most honoured of you in the sight of Allah is (he who is) the most righteous of you" (XLIX:13). 9. Not only the deeds of the Pious are acceptable but their sins are also forgiven. 'O Ye who believe! Fear Allah, and (always) say a word directed to the Right" (33:70) "That He may make your conduct whole and sound forgive your sins: (33:71). 10. The Pious will receive deliverance from the fire of Hell. "But Allah will deliver the righteous to their place of salvation: no evil shall touch them, nor shall they grieve? (39:61). 11. The Pious will eventually enter paradise and will live in real pleasure. "As to the Righteous, they will be in Gardens and in Happiness" (LII:17). 12. There are glad tidings for the Pious in both the worlds. In this world, the glad tidings are comfort and blessings of Allah, freedom from fear and sorrow, safety from enemies and Allah's company and help. In the Hereafter the glad tidings are peace in the grave, and on the Day of Judgement; and the accounting of their deeds will be made easy. "Behold; verily on the friends of Allah there is no fear, not shall they grieve" (11:62). "Those who believe and (constantly) guard against evil" (11:63). For them are Glad Tidings, in the life of the present and in the Hereafter; no change can there be in the Words of Allah. This is indeed the supreme Felicity" (10:64). Allah is the greatest wellwisher of us. He counsels us to live piously as this is the only aim in life. "Verily, We have directed the people of the Book before you and you (O Muslims) to fear Allah" (4:131). Piety is in the nature of the Faithful and is the common factor for the success in this world and in the Hereafter. “Wondrous are the believer’s affairs. For him there is good in all his affairs, and this is so only for the believer. When something pleasing happens to him, he is grateful, and that is good for him; and when something displeasing happens to him, he is patient, and that is good for him” (Muslim). [Seek help in steadfastness and prayer. But that is a very hard thing, except for the humble] (Al-Baqarah 2:45). The patience of a believer is so profound that his patience and imploration never wavers, even though he cannot eliminate a problem or attain his wishes until death overtakes him. He knows that Allah keeps everything under His control and that he will earn great rewards in return for his patience. For this reason, he is content with Allah no matter what situations he encounters, he believes in His eternal compassion and mercy, and puts his trust in Him. If Allah does not answer his call immediately, he certainly knows a greater goodness and beauty are hidden in this. He never forgets that Allah answers all prayers and gives an excellent reward to those who are patient. And His promise is true.